Nashville's Market District is located right in the heart of downtown where generally all the action is at. 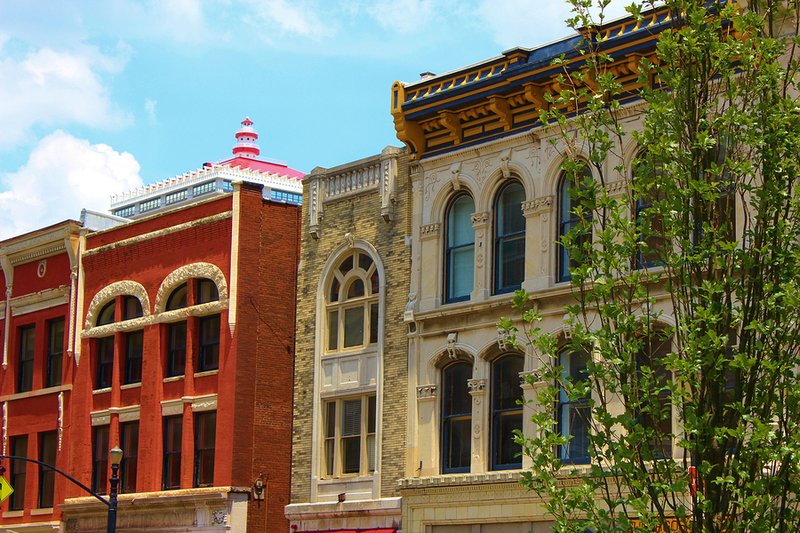 The lively Broadway Street cuts right through the center of the Market District, while some of the city’s hottest cultural attractions and entertainment venues also lie within the one-and-only Market District. For potential home buyers wanting a vibrant, urban atmosphere, you’ll certainly find what you’re looking for here in the Market District, especially given residents are so close to a variety of other popular neighborhoods in town like the Gulch, South Broadway, and Germantown. Although actual boundaries for the Market District vary depending on who you talk to, many recognize the neighborhood as the area between 8th Avenue and the Cumberland River. The Market District also has a rich and unique history as a thriving industrial corridor filled with old factories and warehouses, of which many have since been converted into stylish residential lofts that are among some of the more highly sought after properties listed on the Nashville real estate market. So when it comes to real estate for sale in the Market District, look for the available inventory to mainly consists of chic condos, lofts, and even some upscale townhouses scattered around the area as well. And as always, for more information about homes, condos, or lofts in the Market District in beautiful downtown Nashville, give us a call today at your earliest convenience! The Market District can afford buyers lower prices than the more established districts of Germantown or the Gulch, while still providing comparable amenities and luxuries. This area is also incredibly convenient, offering easy access to all those neighborhoods, the Interstate, and other upscale areas such as Midtown, 12 South, and West End. If you are looking for Market District homes for sale, Market District real estate, click the link below to go to our special Market District property search. The Market District is an area just north of the Downtown area of Nashville Tennessee, it is in the middle of Germantown and Downtown, there is a small amount of restaurants in this area being that this area has undergone a major transformation from an industrial area to a district devoted to retail, residential, and commercial spaces. There 7 in total but all of them are unique so do give them a try. The Market District has Sushiyobi which specializes in Japanese cuisine and ‘Hibachi’ which is the act of preparing your food at the table once you order it so you can see the skill and work that goes into your dish. It also has the tamarind which offer Indian cuisine. There are other restaurants that offer different types of cuisine all over the world, It even has a traditional Irish Pub in this area. If you would like to go shopping in this area, then why not try out the very popular Farmers Market, It is open everyday excluding national Holidays, but most merchant hours vary. It offers a huge variety of shops you can go to such as Exquisite Elegance which is a Jewelry shop and Legato Gelato which I'm sure I don’t need to say what they do. You will see the timetable of the local merchants opening and closing times on the Farmers Market website. There are no Schools or Universities in this area at this current time, there is a popular university a few block to the West called Fisk University, It is out of the Market District Area but is the closest University from the Market District. The Market District is home to the very popular Bicentennial State Park which has been recently re-opened to the public after the devastating Flood in May 2010. It is home to the ‘31 Rivers of Tennessee’ fountains which do put on a spectacular show of lights and water. This is an activity park in which you can do just about anything activity wise such as swimming, horseback riding, fishing and even hiking. Travel distances between The Market District and The Nashville International Airport are just under 12 miles away, which mean it is just under 20 minutes by car whichever route you take, because you’re starting the journey by leaving the busy parts of Nashville you are least likely to encounter very heavy traffic. There a very simple directions that should take you onto I-40-E. There are no local school or Universities in this specific area but Fisk University is the closest to the area at only 1.71 miles away, it will take you roughly 5 minutes by car depending on traffic or just over 10 minutes while walking.